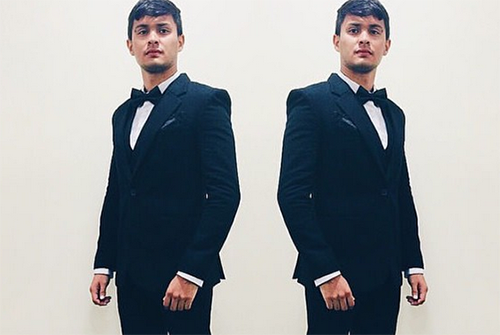 Matteo Guidicelli receives trophy on behalf of girlfriend Sarah G.
Home » 46th Box Office Entertainment Awards » Entertainment » Matteo Guidicelli » Sarah Geronimo » Matteo Guidicelli receives trophy on behalf of girlfriend Sarah G.
Awarded as Female Recording Artist of the Year at the recent 46th Box Office Entertainment Awards last June 14, 2015, the proud and very happy boyfriend of Sarah Geronimo - Matteo Guidicelli was the one who received her trophy. The 26-year-old singer and actress was not able to be present on that night because of a committed shooting for her upcoming movie with Piolo Pascual “The Breakup Playlist,” which will be aired on all cinemas nationwide this coming July 1, 2015. And because of this action, lots of fans of the couple were thrilled and get so much excited as Guidicelli thank the organizers for the said recognition. Comments or suggestions about "Matteo Guidicelli receives trophy on behalf of girlfriend Sarah G." is important to us, you may share it by using the comment box below.